Chicken Marsala is a kind of Italian-American dishes made from chicken cutlets and mushrooms. The broth is commonly made from the blend of wine and sherry. However, it is possible also to use the chicken broth although the final taste may not be exactly the same. The dish itself actually has some variation in which you can also use beef, pork, and even seafood as the main ingredients. Aside from the mushroom, it is possible also to add some other vegetables like carrots and snow pea. This dish is recommended to be made for you the beginners or if you are not experienced enough in term of dining. Interestingly, it is quite quick and easy with a result similar to the fine dining. 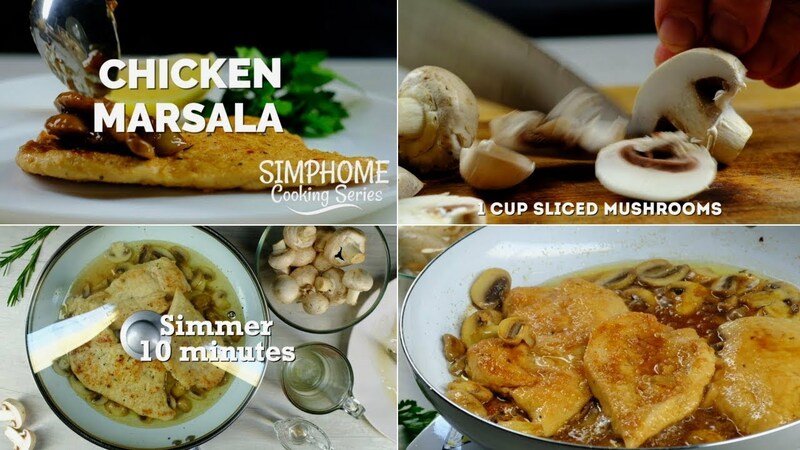 So, are you interested to make Chicken Marsala? Here is the recipe. ¼ Cup Cooking Sherry or ¼ Cup Wine Vinegar. Prepare the skinless and boneless chicken breast halves on the cutting board. To make them thinner and more compact, pound them using the kitchen gavels until around ¼ inch thick. For the better result, layer the chicken with plastic sheet first. Prepare the all-purpose flour in a bowl. Pour the dried oregano, salt, and ground black pepper on it. Mix them thoroughly using hands or spoon. Put the slices of the chicken on the flour. Layer the entire parts of chicken with it. Whether the flour is thick or thin, it suits your taste. Melt the butter on the cooking pan and add the olive oil in it. Cook or Fry the slices of chicken that has been layered by the flour on the mix of butter and olive oil. Wait for some minutes until golden brown. When the chicken has been cooked thoroughly, drain well and prepare it on the plate. Slice mushrooms and stir fry them on the pan with olive oil. Pour the Marsala Wine or chicken broth. Wait it for some minutes, then, add the cooking sherry or wine vinegar. It is not recommended to mix the two options at once. Put the chicken into the mix and boil them for around 10 minutes. Turn them back so that they are cooked well. The Chicken Marsala is ready to serve. You can plate it as you want to make it looks tastier and more beautiful. Chicken Marsala in this recipe is available for 4 portions only. If you want to add the cutlet chicken more, add the spices and other ingredients based on your necessities. Despite enjoying the chicken solely, it is also good with some types of staple foods like rice and potatoes. If you like it for being a little bit spicier, add also the sliced chili or jalapeno.